Hello witches, wizards, and warlocks! I am the laziest blogger ever and am just getting around to writing up the last Harry Potter book, even though I finished my Great Harry Potter Re-Read before Thanksgiving. Oh well, it happens. It’s been a great journey, but I finished my Great Harry Potter Re-Read just before Thanksgiving! However, I’ve been super lazy about writing about the last two books. I procrastinated on my write-up of the sixth book, and now that I’ve finished the whole series, I haven’t felt like going back and writing about it. I planned on just doing a combination post on the sixth and seventh books, but it turns out I have a lot more to say than I thought! So you get two posts after all, you lucky ducks! Hello lovelies! I’m still having a fabulous time with my Great Harry Potter Re-Read! This week I got to read one of my favorite books of the series (does it seem like I say that in every recap post? ), Order of the Phoenix! Things get seriously dark in this installment, and I love it. It’s just so delightfully angsty. Hello lovelies! This week I finished the fourth book of my Great Harry Potter Re-Read, Goblet of Fire! This has always been one of my favorite books in the series, and I loved it just as much this time around! As most of you surely know by now, I’m a huge Harry Potter fan. I read The Casual Vacancy when it came out last year, and although it wasn’t my cup of tea, I thought it was a strong piece of literary fiction. 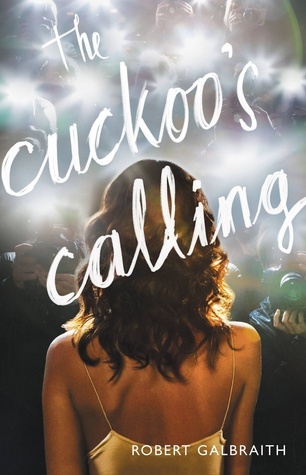 When Rowling’s authorship of The Cuckoo’s Calling was revealed over the summer, I wasn’t sure if I wanted to read it. I love me some JKR, but crime novels aren’t really my thing. In the end, curiosity won out and I picked up a copy. I finally read it in the last few weeks, and it restored all of my Rowling love that was lacking after TCV. It even made me interested in crime fiction! The Casual Vacancy opens with the death of Barry Fairbrother: a husband, father, coach of the girls’ high school rowing team, and member of the parish council of the picturesque English town of Pagford. 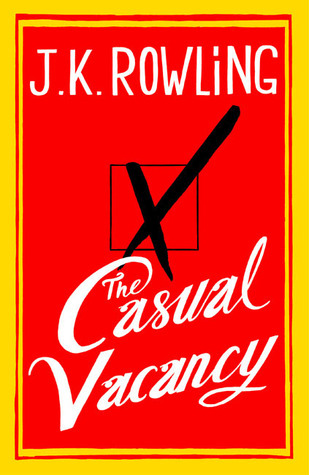 His death leaves a “casual vacancy” in the village council, and the town must elect a replacement. Vying for the council seat are multiple forceful personalities with their own secrets, vendettas, and aspirations.